The plan for a modern boutique hotel adjacent to the Palm Avenue public parking garage is moving forward. On Monday, Dec. 7, the Sarasota city commissioners voted 4-1 to approve a purchase and sale agreement with Palm Avenue Hospitality Holdings for the city-owned property. The closing will take place no later than Dec. 17. Angus Rogers, the developer who established Palm Avenue Hospitality Holdings, told The Sarasota News Leader after the vote that he and his team plan to break ground on the hotel in early January, shortly after taking ownership of the nearly 1-acre parcel. A month ago, the development team also purchased a lot next to the city land that will allow for expansion of the hotel, Rogers said. The tentatively titled Sarasota Hotel at 1289 N. Palm Ave. is expected to be part of the Hilton hotel chain’s Curio Collection. According to Hilton documents, “Curio is a collection of independent, remarkable hotels … with personalities and stories all their own,” which are backed by the corporation. If construction commences as planned, it will be a significant milestone for a city-owned parcel that has been the center of several failed attempts to foster development, including a nixed city-developer partnership in 2008 that led to a lawsuit. Palm Avenue Hospitality Holdings’ own plans for a hotel on the site faced some recent hurdles, too. According to Rogers, however, discussions between the development team and city staff made it possible for the project to get back on track. 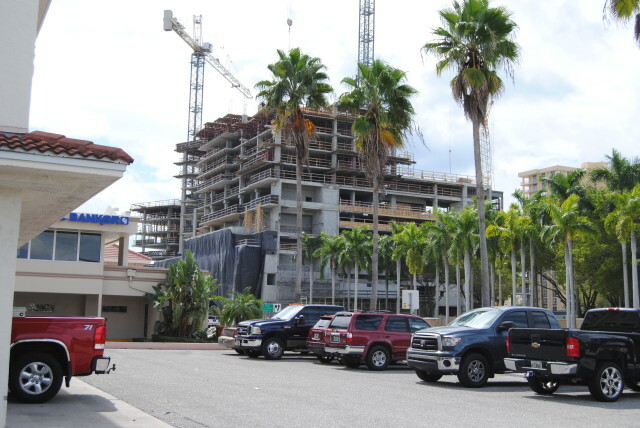 The Palm Avenue project will join several other new hotels that are planned or under construction downtown, including an 18-story Embassy Suites & Spa and The Vue Sarasota Bay and Westin project. About a month ago, the Rogers’ plans faced multiple impediments, ranging from the renegotiation of a key clause in the pending contract with the city to an apparent lack of sufficient communication between the developer’s representatives and city planning staff, which was referenced at the City Commission’s Nov. 2 regular meeting. “We had all this momentum and now it seems to have ceased or gone backward,” Tim Litchet, director of the city’s Neighborhood and Development Services, said during that Nov. 2 session. Litchet added that the city was still waiting for the application for a foundation permit. 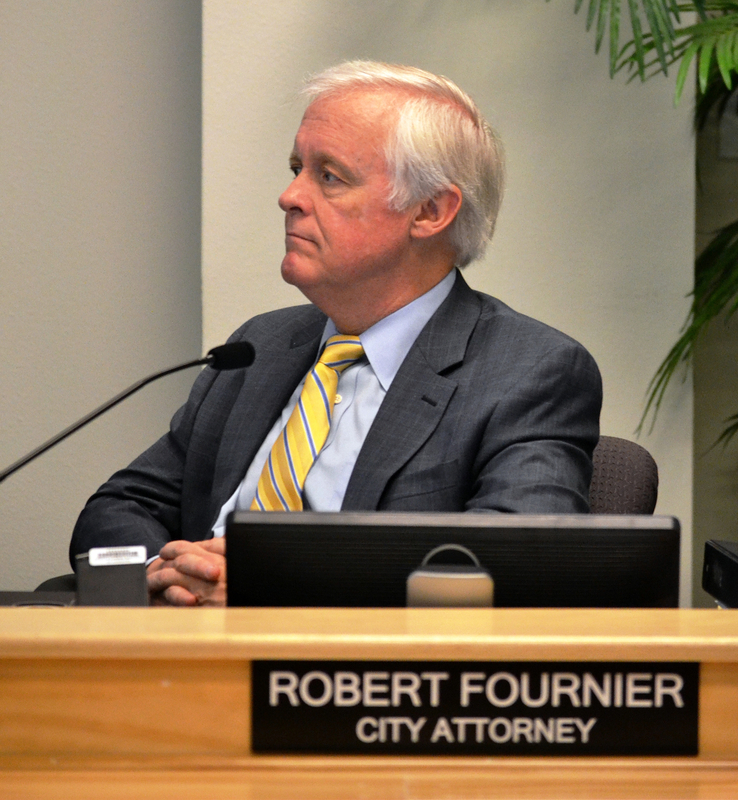 “With each extension, we do make progress, though it is not quite enough to get us where we need to be,” City Attorney Bob Fournier remarked about the developer’s efforts to work with city staff to resolve outstanding issues. The City Commission then continued the discussion to Dec. 7. During the intervening weeks, three major outstanding issues were resolved, according to Fournier this week: the recording of a claim of lien; the renegotiation of the city’s “buy-back” provision in the original purchase and sale agreement; and the request to vacate right of way where building encroachments are anticipated. “We worked through all those things,” he said. The city commissioners were not unified in a desire to approve the sale of the parcel. During the Nov. 2 meeting, commissioners said the developers needed to improve their communication and work more closely with city staff to close loopholes. 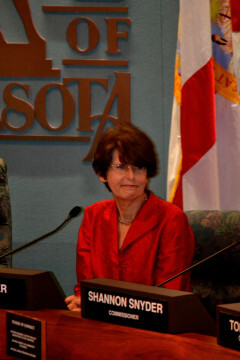 Commissioner Susan Chapman went a step further than her colleagues, voicing objections about the project. Chapman questioned the deal the city was set to vote on with the developer, noting the city has completed road improvements worth $1 million and that it will allow the hotel’s patrons to use the adjacent city-owned parking garage. “It is looking like a really bad deal for the city,” Chapman said. During the Dec. 7 discussion, Chapman re-emphasized her concerns. “I again state this is not a good deal for the city,” Chapman said. She cast the lone vote against the project. The developers have had a contract since 2012 to buy the city-owned land for the downtown hotel.